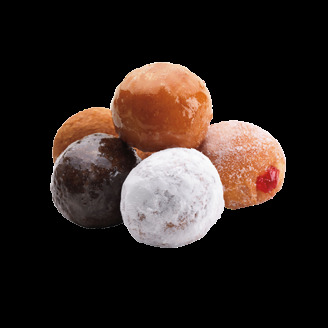 As the donut-eating public already knows, this is National Donut Day, and as a public service of sorts, Business Updates is reprising a post that advanced this red-letter day. That post noted that Dunkin’ Donuts, the Canton-based coffee-and-baked-goods chain, plans to honor this day in high style. Munchkins rampant. Photo taken from Dunkin’ website. Meanwhile, the chain is also using the festive occasion of National Donut Day to spotlight one of its newest products — a breakfast-style offering that exploits the versatility of the donut by transforming it into a sandwich delivery platform. What started in Chicagoland has gone global — at least, if Dunkin’ has anything to say about it — Dunkin’ says it plans to celebrate National Donut Day in 31 countries this year.